"As I reflect back on the trial, I am very grateful to you for your professionalism. You are truly a cut above the people I have encountered as a lawyer." Listen to Roy Bedard as a regular Criminal Justice Analyst on the CopDoc Radio Show, coming live from Orlando Florida. The Criminal Justice System and the Police profession in particular continues to be a major focus of the entertainment industry. Whether its print magazine, television or the movies, America can’t seem to get enough of criminals and crime enforcers. As any editor or producer knows, getting access to this sector can be difficult and sometimes impossible. Whether it is reality television or scripted drama, the final product has to show the criminal justice system in a natural, realistic and believable environment. The only way to get authenticity is to get inside. For the most part, law enforcement agencies are suspicious of the media, suspecting news makers and chronologists as eager to show them as bumbling idiots or troublemakers, rather than professional problem solvers. 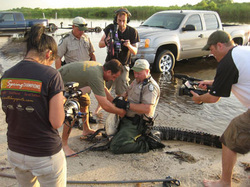 Mutual trust must first be established between an agency and a production team if access will be granted. Police and Corrections professionals recognize that their business is difficult, unpredictable and always changing. They also recognize that at times mistakes can and will be made and they depend on the production team to not exploit or sensationalize their access. Once inside, Police departments enjoy knowing that an insider, someone who knows the business inside and out, is present to assist with production, to give advise, and offer suggestions regarding the fragile portrayal of the police agency and its officers. Their benefit in cooperating with a production is to show the world their professionalism and to create awareness in the difficult job that they undertake daily. For the most part, police agencies are proud of their work and want to be showcased to the public. I have worked with both sides of the equation having been interviewed by newspapers, periodicals, radio shows and television media. My comments have appeared on ABC News, CBS News, NPR, USA Today and a variety of other respected news sources. I have assisted producers in print, radio and television with idea development, making introductions to agency leaders, locating specific characters to fit requested roles, technical advice, rough cut edit reviews, on location filming, and a variety of other tasks from idea inception to finished product. If you are a producer, news analyst, or otherwise need assistance with police/media relations, contact me to discuss your ideas. All discussions are confidential. To contact me with your project, call 850.980.7729 or email rbedard@rrbsystems.com. All calls and emails will be returned by the next business day. RedMan Training is a series of specialized law-enforcement training programs using specially designed protective gear that presents realistic scenarios to prepare participants for critical decision-making when real-life confrontations arise. In this video, Dave Young (RedMan Training's director of specialized programming at Northcentral Technical College in Wausau, Wisconsin) and Roy Bedard (a veteran police trainer and use-of-force instruction expert) demonstrate the newest innovations in RedMan Training's program and gear for during a photo shoot at Black Belt. Please go to: My IMDB Resume to see more. Listen to Roy Bedard as a regular Criminal Justice Analyst on the CopDoc Radio Show, coming live from Orlando Florida every Thursday at 10pm.